Useful properties of caviar , tasty delicacy for the rich direct families. Caviar is the name of all the eggs of a given species. The majority of fish eggs is egg-shaped sphere, ellipsoid others are, and some even conical. Caviar has veil, which in many species is equipped with many different growths. The dimensions caviar grains ranged from 0.6 to 1.3 mm. Caviar is widely used in cooking, diamond black and red caviar is considered a luxury food delicacy and are quite expensive. Along with truffles, caviar is known as one of the most expensive foods. The roots of this fact probably need to look at the ruins of the story when the caviar is specially reserved for the king’s table. 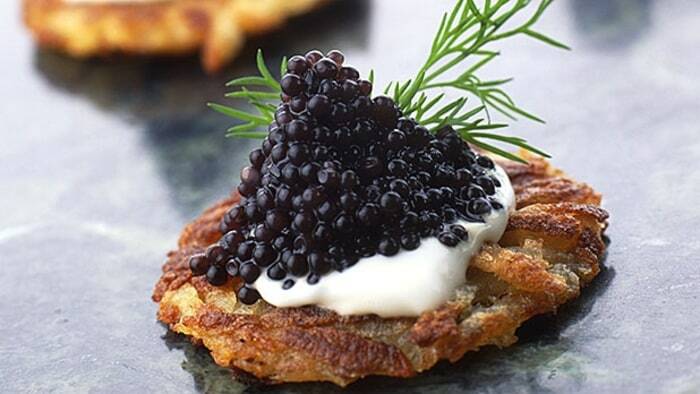 Today, caviar is synonymous with exquisite hors d’oeuvre. Premium caviar should be stored with caution because it spoils easily. The most popular are the eggs of salmonids – red caviar, considered one of the most exquisite delicacies and caviar from sturgeon – caviar reaching record prices. There are three main types of red caviar, caviar ketals of gorbusha and nerka. 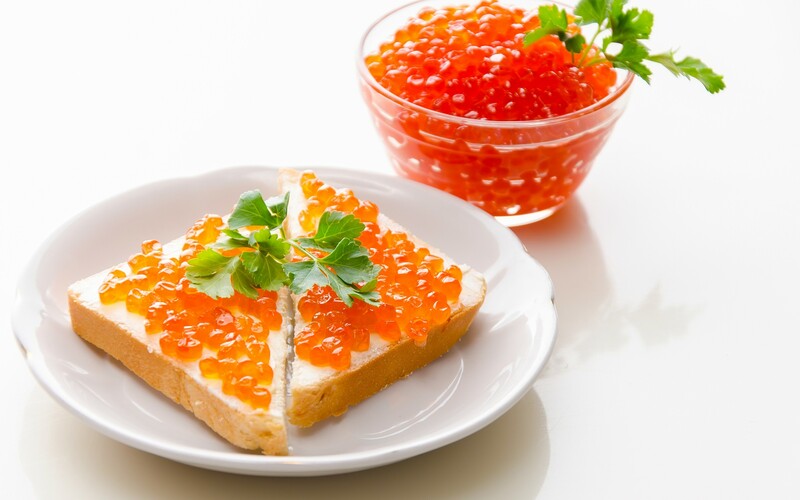 Caviar from KETA has the largest grain – 4-5 mm bright-orange color, good flavor, tender, slightly watery taste. Suitable for sandwiches and sauces. Caviar from gorbusha has medium size grains, about 3-3.5 mm deep orange color with hard grains of ketovi. It has a strong flavor of caviar and rich taste. It fits perfectly warm pancakes and is widely used in Japanese and Italian cuisine. Caviar from nerka is the smallest grains – about 3 mm. There is a definite bright red color and very pronounced flavor of caviar and a slightly bitter taste. It fits perfectly with vodka, while in Western Europe and the US is considered the most sophisticated and expensive. Caviar salting must have a well-defined grains. When cleaning fish caviar is removed, washed thoroughly, then drain thoroughly and carefully removed his skin. To keep eggs use jar, which puts salt on top caviar, still salt, caviar and so keeping ratio salt-caviar 1: 1. It is important to seal well to not enter air. So well preserved eggs ripen in 2-3 weeks to a month. The best indicator of readiness is orange. An additional plus is that prepared so eggs can last in the refrigerator with the salt to 1 year. In large retail chains is supplied ready salted roe-breaker in case you do not have on hand fresh fish.